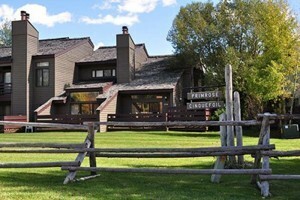 Grand Teton Wyoming Condo Rentals offer variety, ideal location, and great value. From studios for the intimate getaway to five bedrooms to accommodate a family vacation, there is something for everyone and every type of budget. Enjoy a range of amenities in the privacy of your own abode. Discover ideal Grand Teton National Park Condos here. Offering a wide variety of condos for all budgets. Locations include Teton Village, The Aspens, & Teton Pines. Choose from 1-4 bed condos, or 3-5 bed townhomes. Book today! Browse a variety of vacation rentals and condos in the greater Jackson area, Choose form homes, cabins, condos and luxury accommodations. Just south of Grand Teton Park. 1st-Class nightly accommodations with 5-Star amenities slopeside at the JH Mountain Resort. Two or 3-bedroom suites, on-site Spa, in site of Tram.